Shilpa Shetty Kundra is one of Bollywood’s fitness gurus. 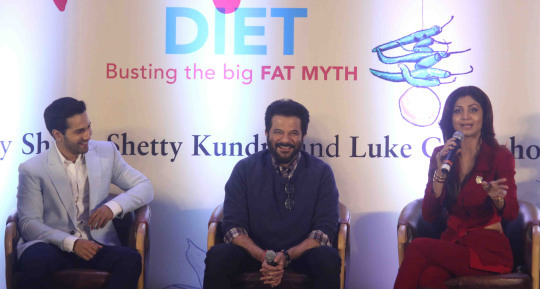 Recently she launched her own book, The Great Indian Diet. Here’s a look at the attendees of the event. The event was attended by Anil Kapoor and Varun Dhawan. Amitabh Bachchan too graced the event with his presence. He even shared his thoughts on the book. The book was launched at the hands of both Amitabh Bachchan and Anil Kapoor. They all got clicked with the book as well. Shilpa was all smiles at the end of the event, standing next to her husband and sister.